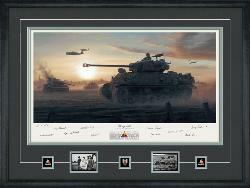 Born in 1973, Gareth found an early passion for painting and military history while growing up in Scotland. He would go on to a successful career in the world of computer animation and digital painting, working on projects such as Medal of Honor, Doctor Who and Halo. 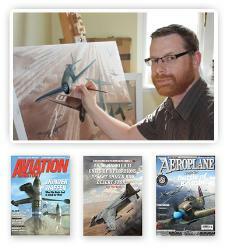 In the aviation art field, Gareth's work most frequently appeared on the cover of Osprey publishing's aircraft books and on aviation magazines spanning Aviation History to Aeroplane. 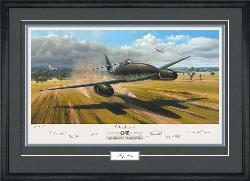 In 2010, Gareth dusted off his oil paints and returned to his love of traditional painting after a 15 year hiatus. Since his rebirth as an oil painter, his original paintings have found their way into the collections of the CIA, RAF and Marine fighter squadrons, and in private homes across the globe.